This is an easy gift Dad and kids can give to Mom on Valentine's Day. Yippee! 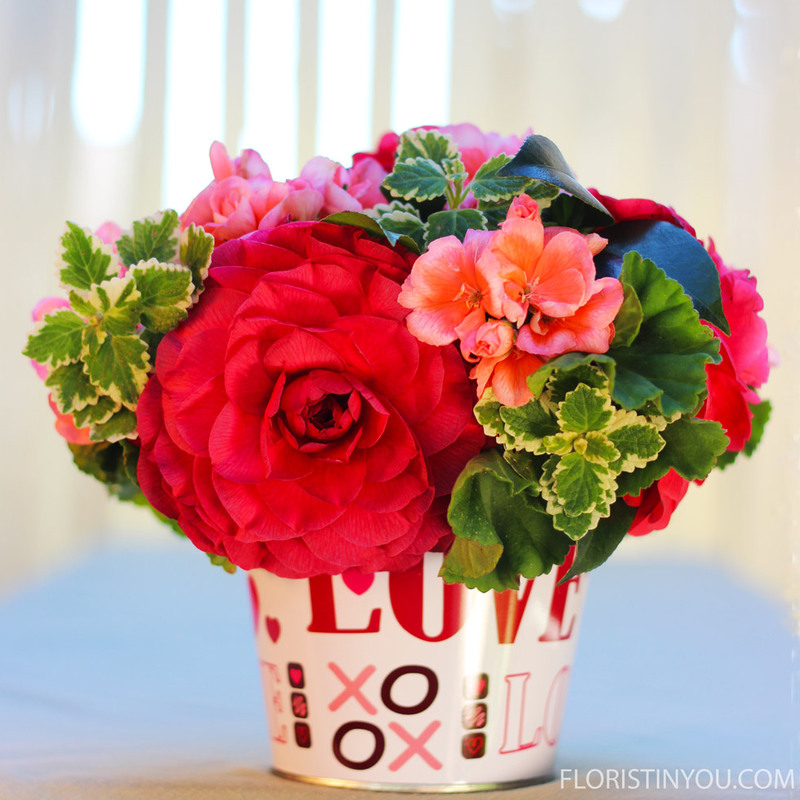 You can make your Valentine this arrangement from the garden. The flowers are free and the tin only costs $1.00. Now is a good time to buy. All the Valentine items are on sale. Camellias don't look that amazing on a bush, but cut them for an arrangement and you will see how showy they really are. They are top heavy so be sure to cut the stem as long as you can to keep them in the tin. 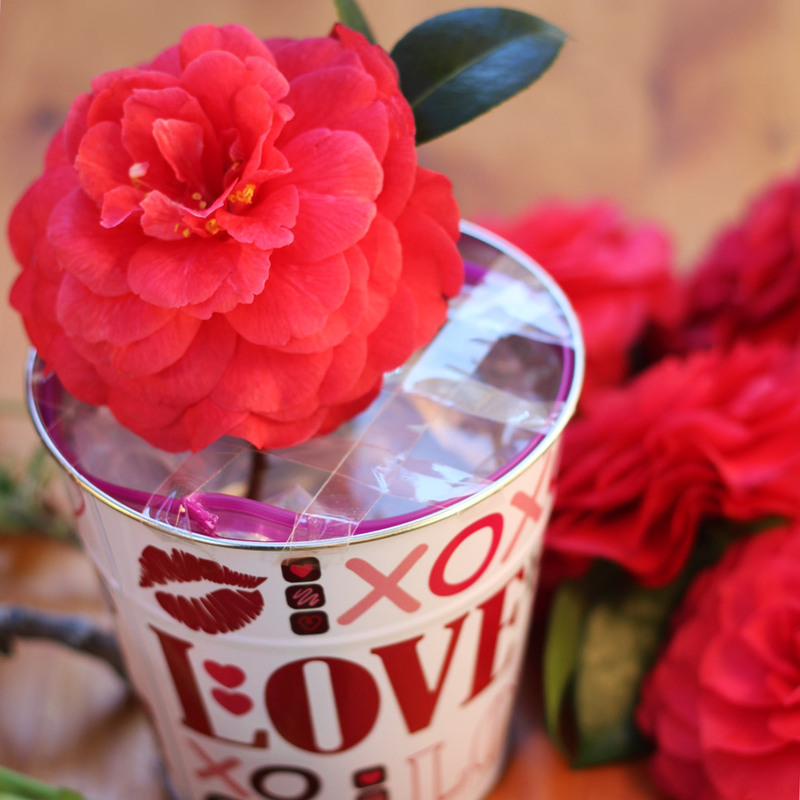 Camellias are native Asia and in Chinese they are known as the "tea flower". In Japan camellias are called "Tsubaki" or divine. They were brought to England in 1739 and then to America in 1797. There are from 100 - 300 in the species. Just walking around my neighborhood you see many varieties and colors all lovelier than the next. Here's a link on how to grow camellias: https://www.todayshomeowner.com/how-to-grow-camellias/ This arrangement is easy. Let's get started. Cut your flowers. Make sure to leave the Camellia stems as long as you can. 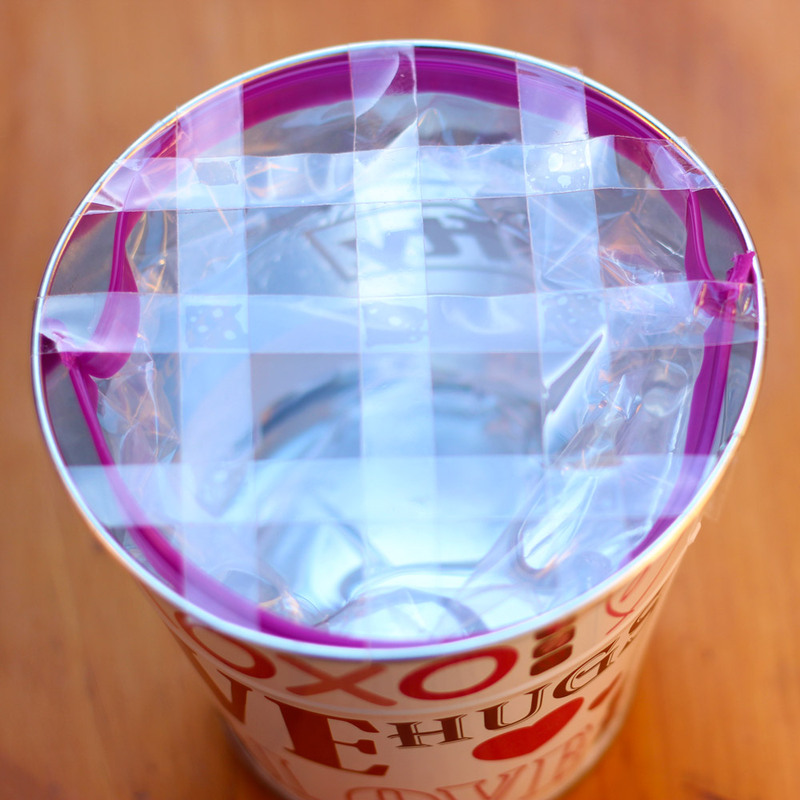 You will make a grid out of this clear floral tape. 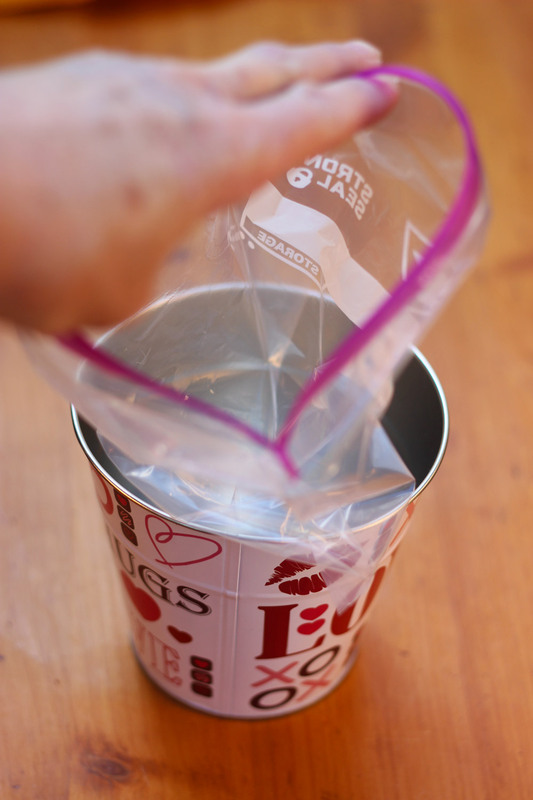 Push the tap off your quart baggie. Promise, you won't need it. Open the baggie and push into the bucket. 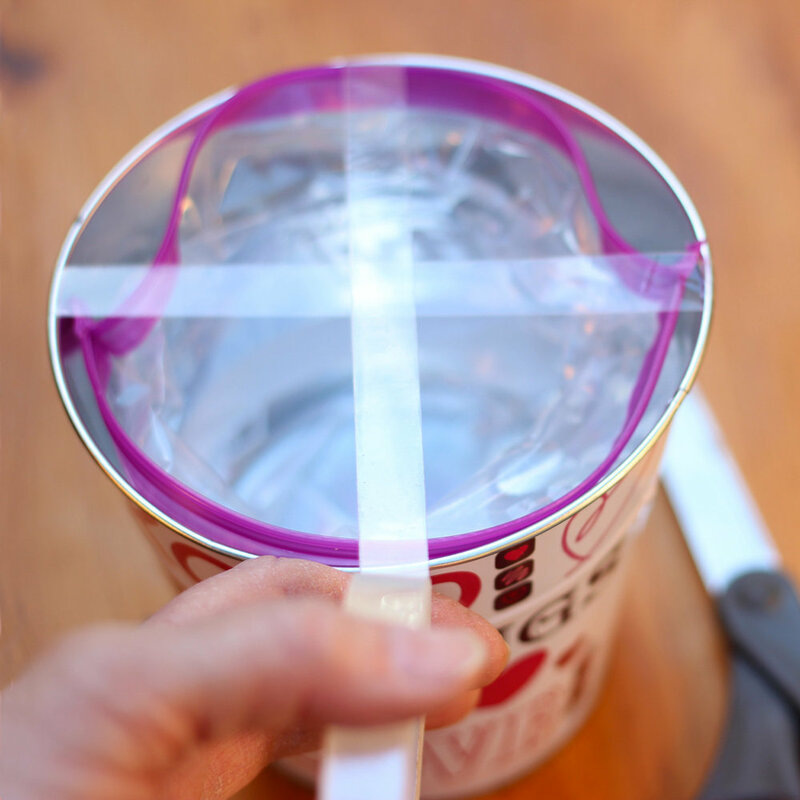 Fill with water to about an inch below the rim of bucket. Push baggie below rim. Make sure rim is dry. Make a grid with floral tape. Place camellia stem through grid into water. Put other 3 Camellias in. You may have to push Camellias down with flat of your hand. Spread open large Geranium leaves. Put leaves under and around Camellias. Add Geranium flowers and Swedish Ivy. You are done. Enjoy!